It was 1:30 in the morning, and I had insomnia. I’m not exactly sure why I couldn't sleep. Maybe it was due to the stresses of college, or to the fact that I had been questioning my existence in this world. It was a common pity party for me during that time. So, as I sat and sulked on the bed in my small Chicago dorm room, I looked out the window and noticed Franklin Square in the distance. Not a very pretty sight, really, compared to other parts of Chicago; but maybe that was a good thing. It helped me focus my attention on the darker corners of the city, the parts that needed more light; and as I began to think and pray about why I was there in that dark city, my heart was redirected off of myself and onto others. I looked out at the darkness, then saw the small lights shining in the distance. The reason for my existence became more clear as I realized, as Christians, WE are the light of the world. We need to be shining our lights brightly to help illuminate the darkness. THAT is why I was there. 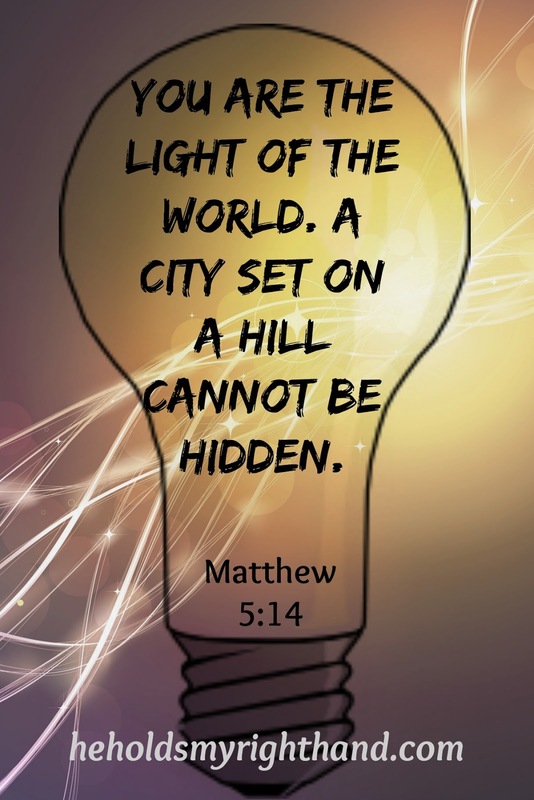 In fact, that is why we are ALL here - to shine our lights for the glory of God. It is dark out tonight. There are a few lights shining brightly in the distance. The light is so small compared to the darkness. The American flag flies freely on top of Franklin Square. It symbolizes the freedom of the people. But, yet, they are not free. Well said Vicky. God does put us where He wants us to be. And what ever is in us comes out. Yes, Lord help me to remember why I can shine. You are life in us! Your love is like a warm blanket on a cold winter evening.